Outsourced Marketing: Does It Make Sense for You? 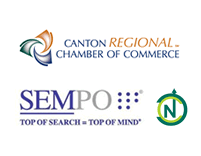 As a internet marketing firm based in North Canton, Ohio we are strong believers in the principles and benefits of ‘buying local.’ We live here, we shop here, and our kids go school here. So when we talk about ‘outsourced marketing’, please know we’re talking about it in the context of working with a local company to manage and execute your marketing efforts and NOT shipping work overseas. Maintaining a consistent content marketing campaign is critical to the success of your internet marketing efforts. Of course many times this is an ‘easier said than done’ type of task. Chances are your plate is already pretty full. Not only is there so much to do to run and market your business, but you may not have the resources, skills or time needed to consistently produce the regular flow of content required to succeed in your online marketing efforts. Don’t feel bad…because you are not alone. It is quite common, in fact, for a business to lack a member or team that can pull together to master every detail of content and internet marketing. Where many organizations make a mistake is simply letting this be their weak spot and still trying to work around it. Remember a chain is only as strong as its weakest link, and a marketing campaign is only as impressive as its most memorable content. Don’t let this be your downfall when there is a way around it. The first clarification to be made is that this is not about outsourcing out of the country. In fact, we suggest you stick with outsourcing in your immediate local area if possible. This not only helps support your local community, but increases the chances for hiring a team that has inside information and an understanding of your area or even your business. This helps prevent issues such as language barriers and also helps if you want to write about Ohio, for example, from a resident’s perspective. Aside from that, there are other things that can help you have a successful team. For one thing make sure the individual or team you hire has a true understanding of the ultimate goal or master plan as it were. Also, help everyone identify his or her role within the big picture. This will help them feel like a part of the working team not an outsourced resource. Getting your outsourced resource on board to make your internet marketing campaign a success is one of the instrumental parts of making it a success. For that reason, you should also be certain outsourced resources are still accountable for certain goals and objectives. This should be above and beyond a shared goal of obvious increased traffic. There should also be a way to establish how you intend to measure the success this partnership creates. 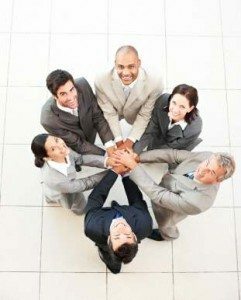 One of the most important aspects to making sure someone will be a good fit for your team as an outsourced individual is be sure the person even wants to be part of the team. The same way you would want each person on your own staff to be motivated to be a team member, you want your outsource members to feel like part of the team. Of course, the most crucial aspect is whether your outsourced individuals or team can produce quality content that matches your vision as this is the main purpose for including them. Having good content marketing but not material that represents your organization is not any better than having poor quality content in the first place.